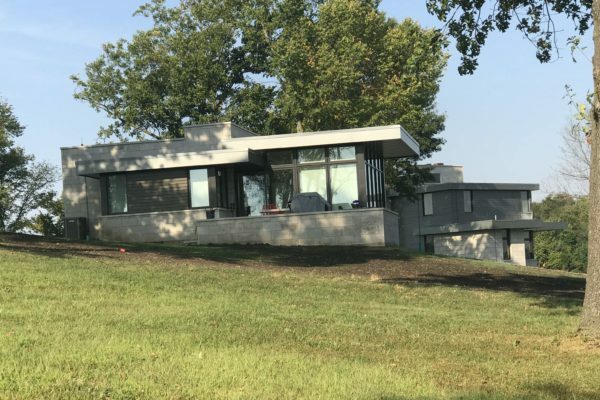 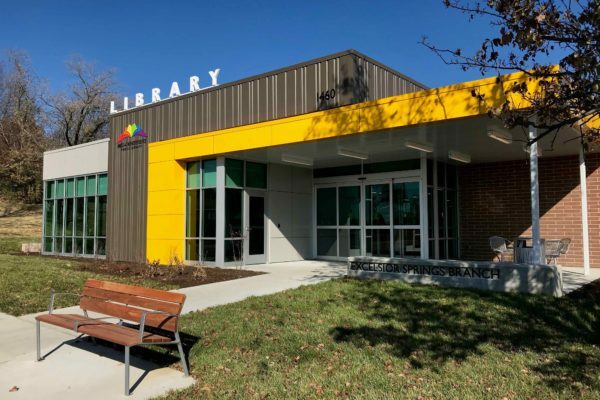 AIA Kansas Honor Award: Excellence in Architecture, 2017. 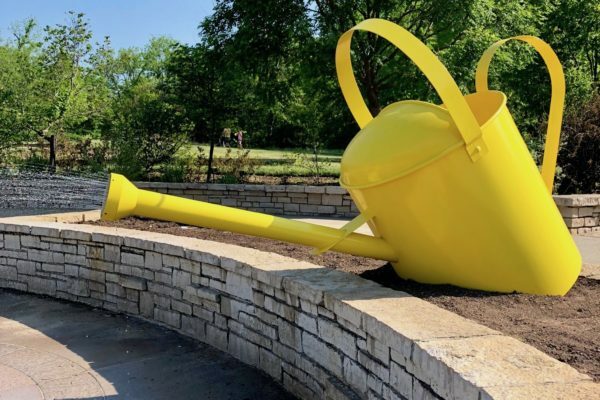 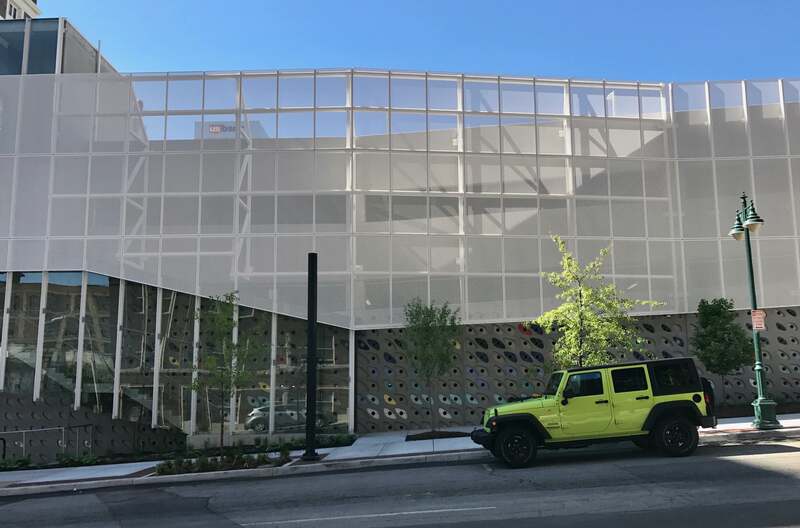 Development of Distinction: ULI Kansas City, 2017. 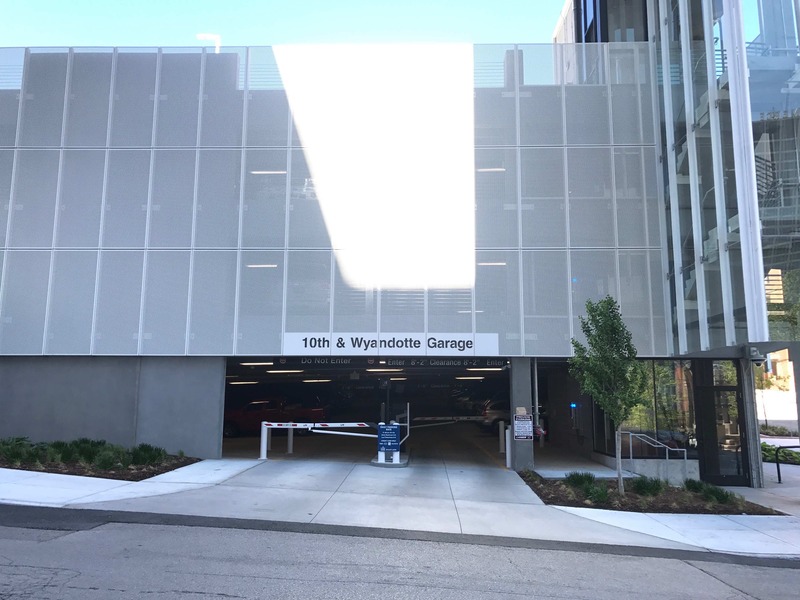 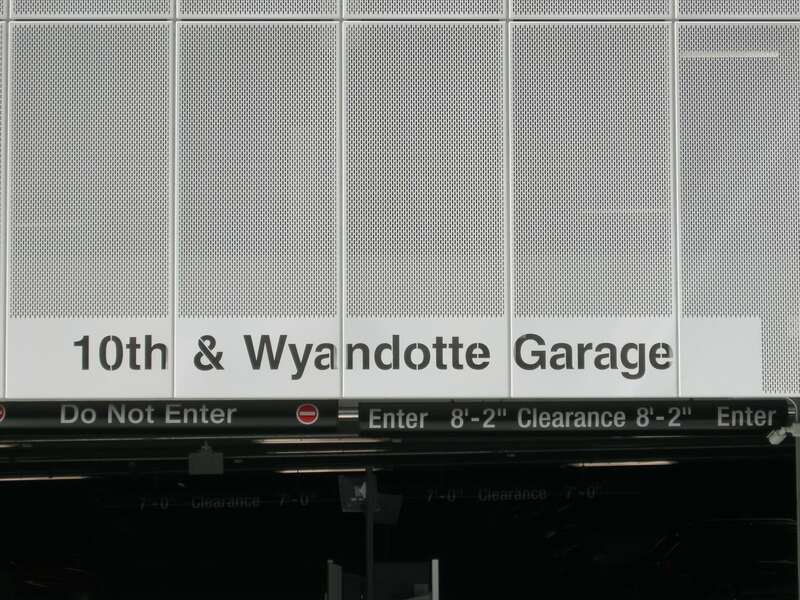 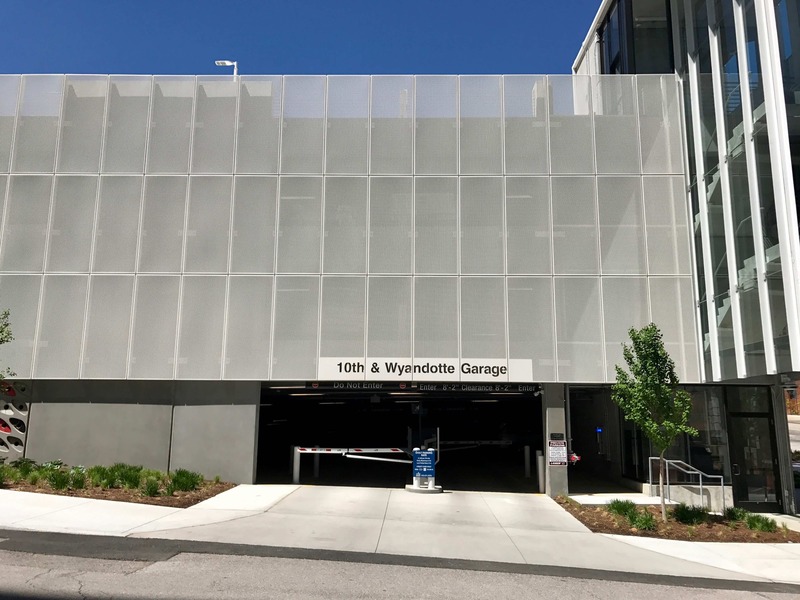 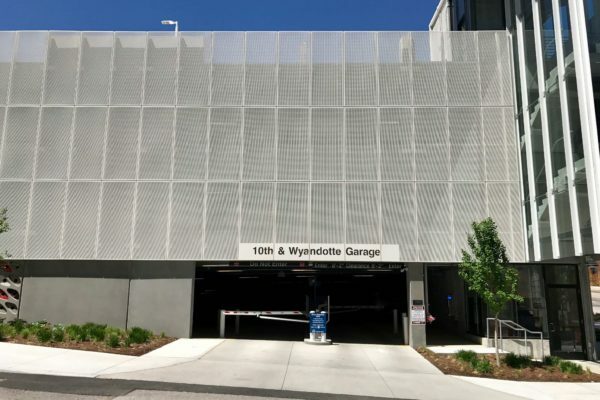 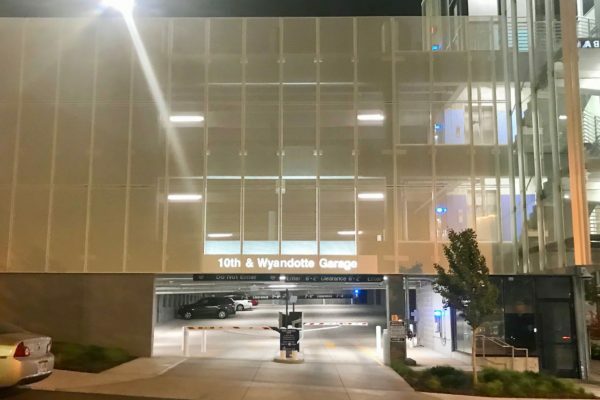 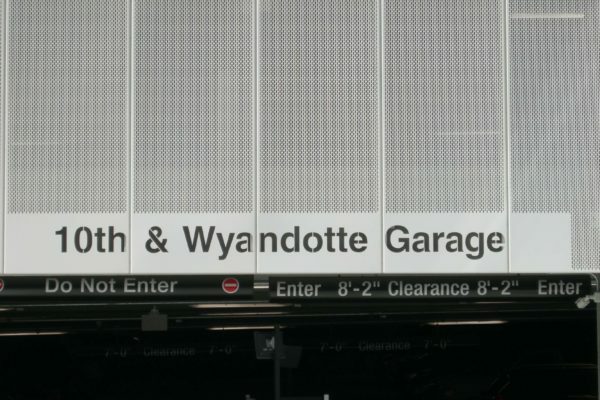 The parking facility at 10th & Wyandotte began as a Design / Build project from the very onset. 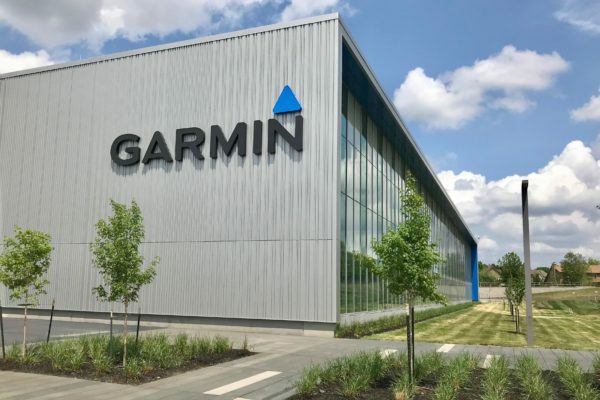 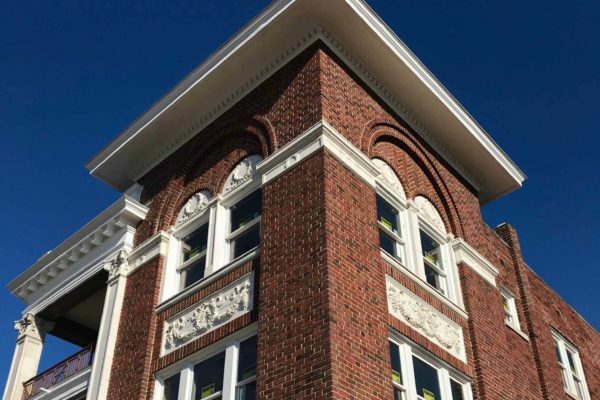 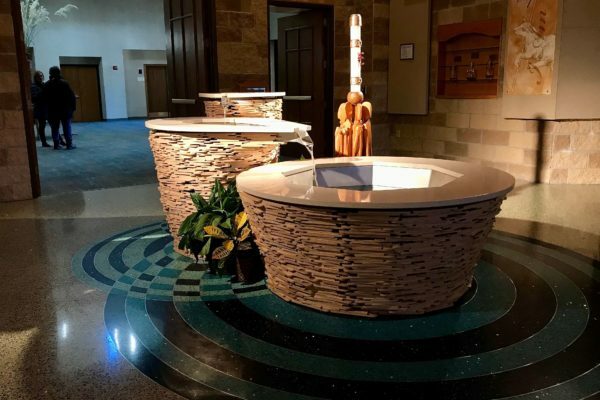 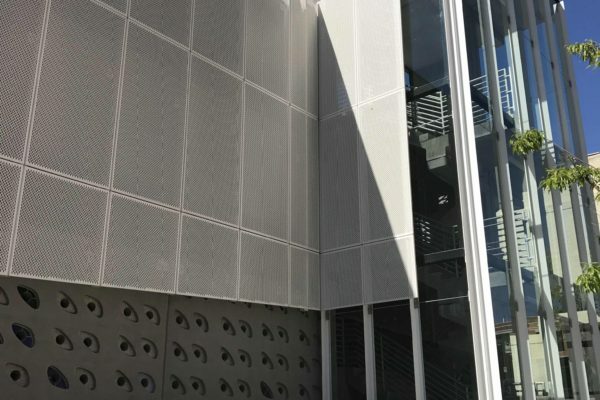 Contacted originally by the design team to talk about materials and finishes, it was not long afterwards that the contractor was brought in to discuss means & methods to solve for the aesthetic, budget and schedule. 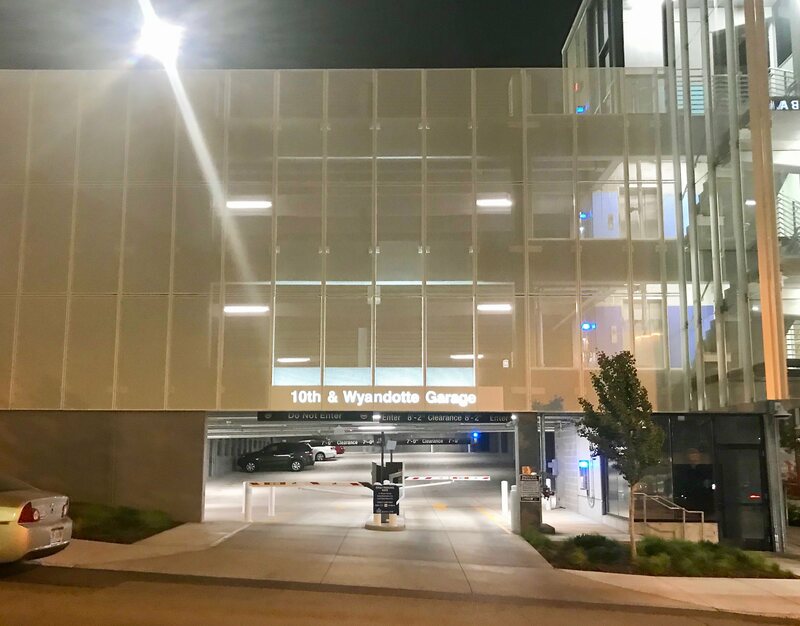 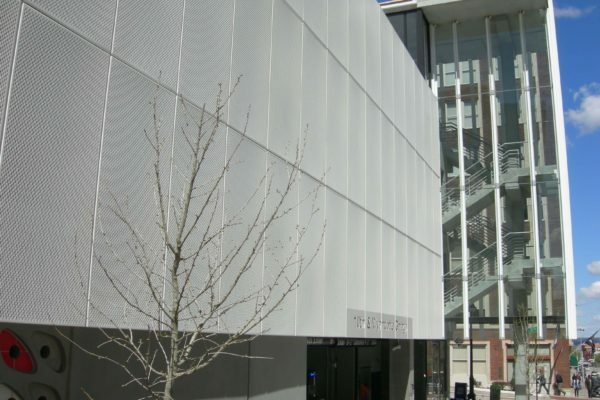 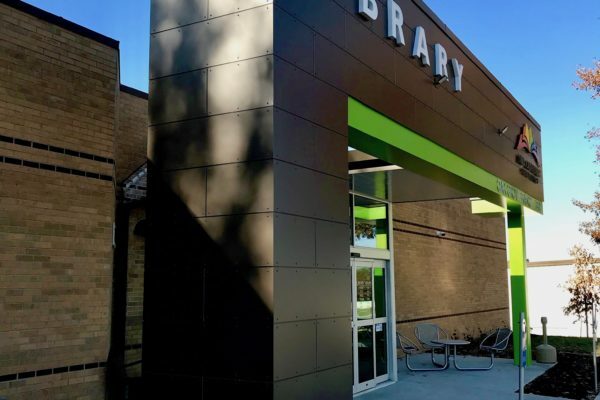 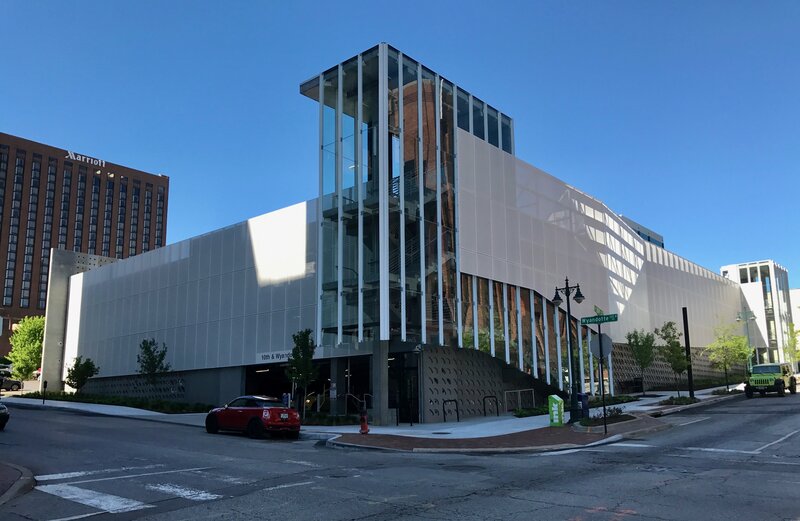 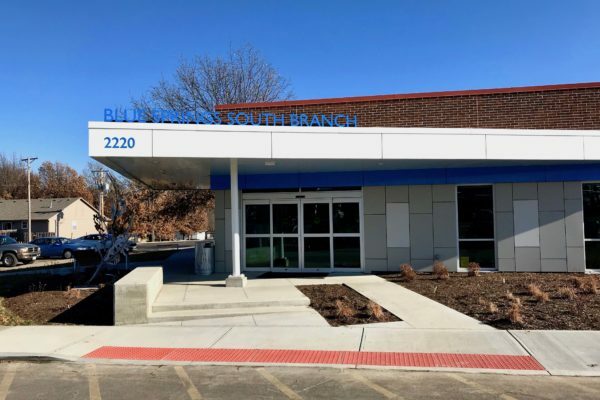 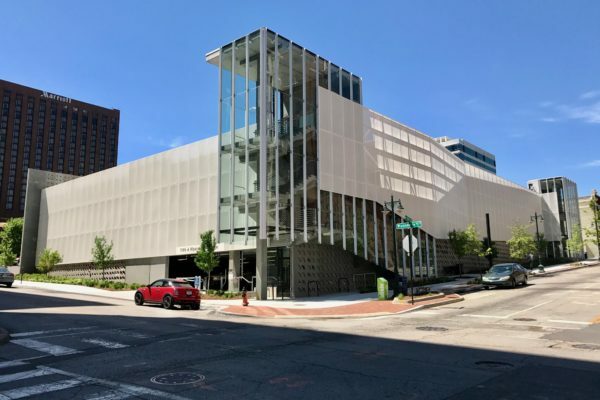 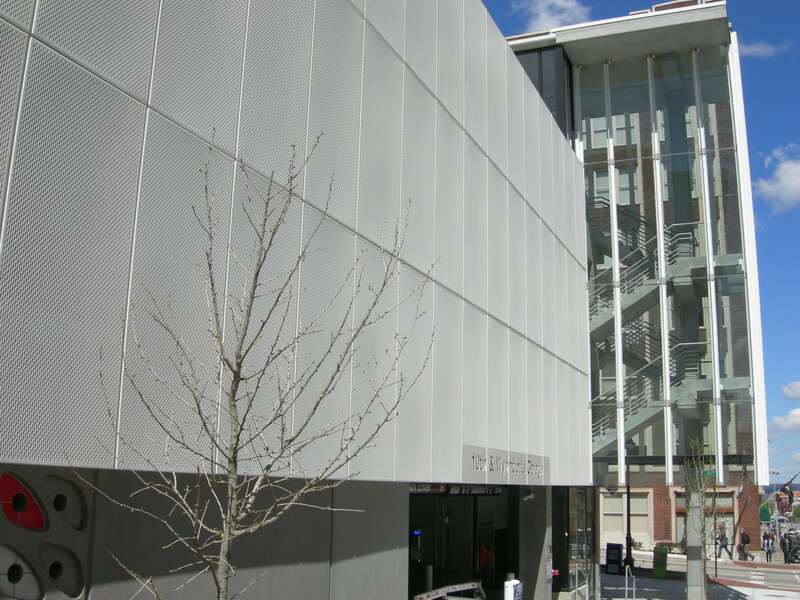 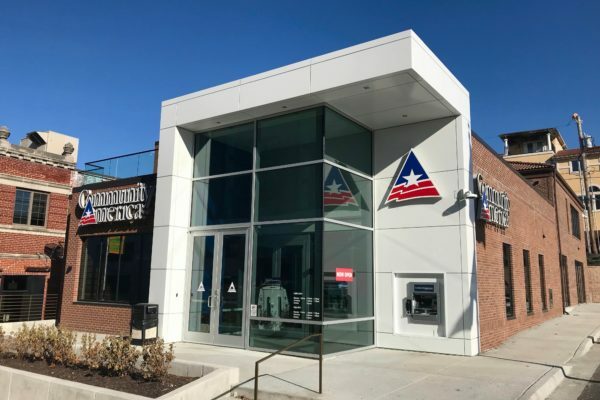 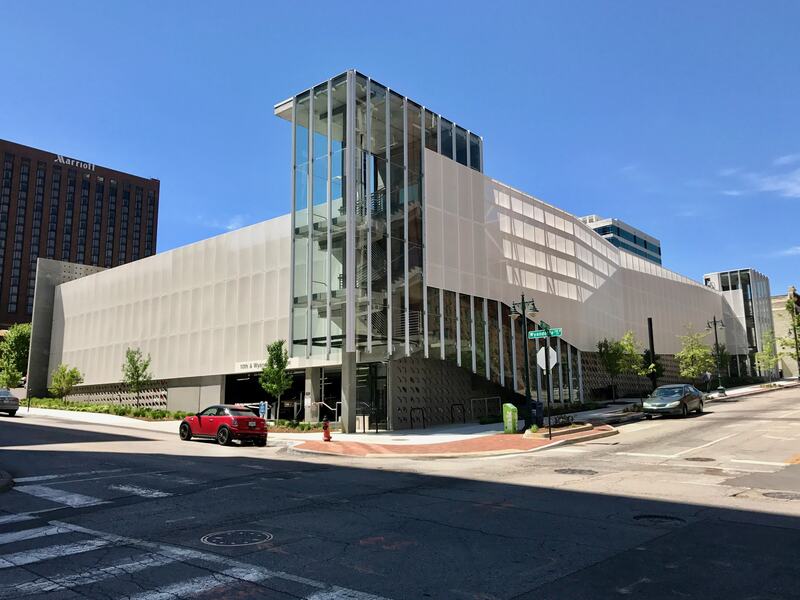 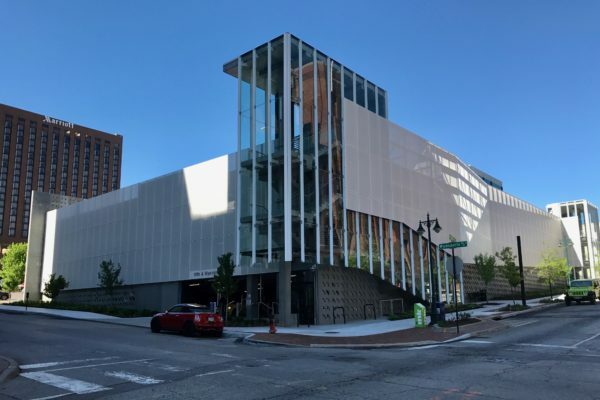 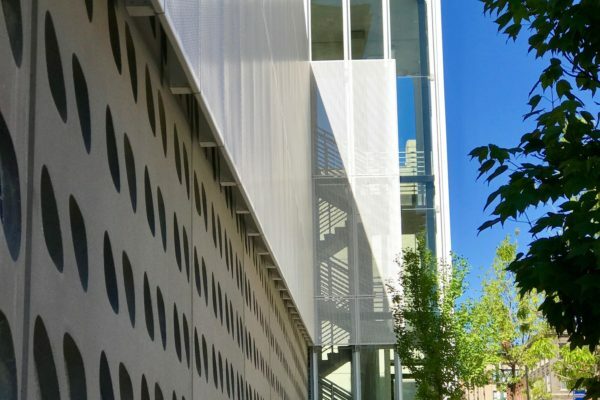 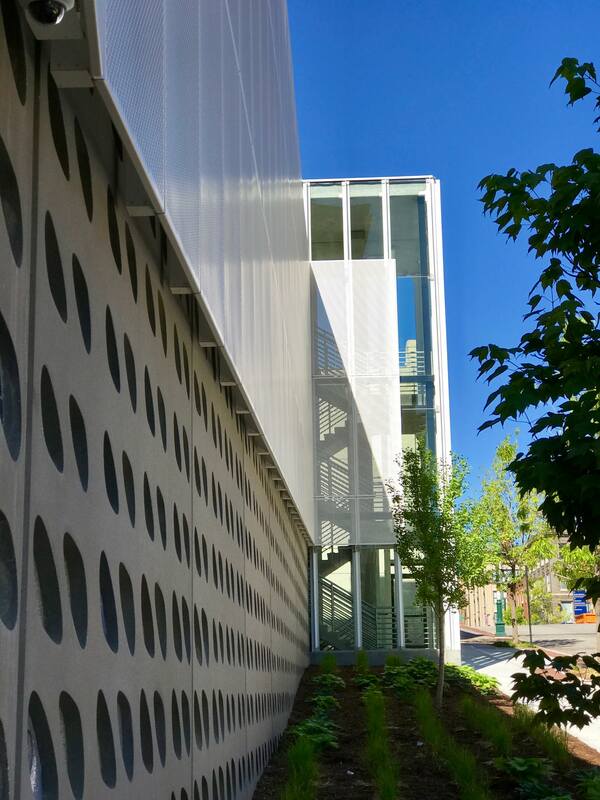 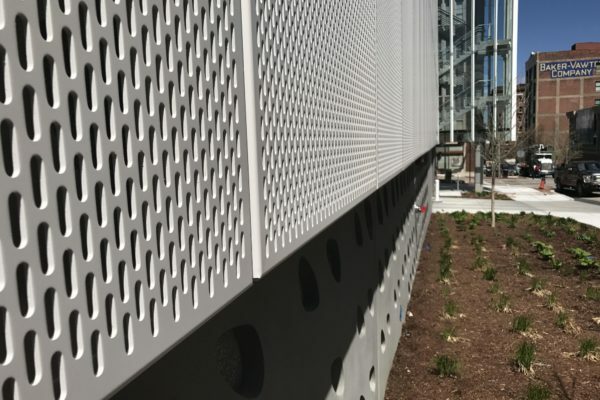 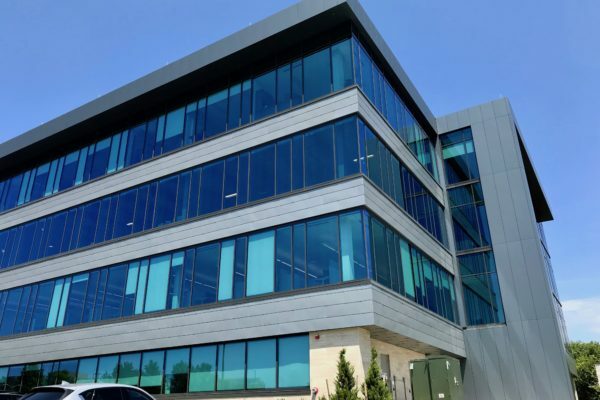 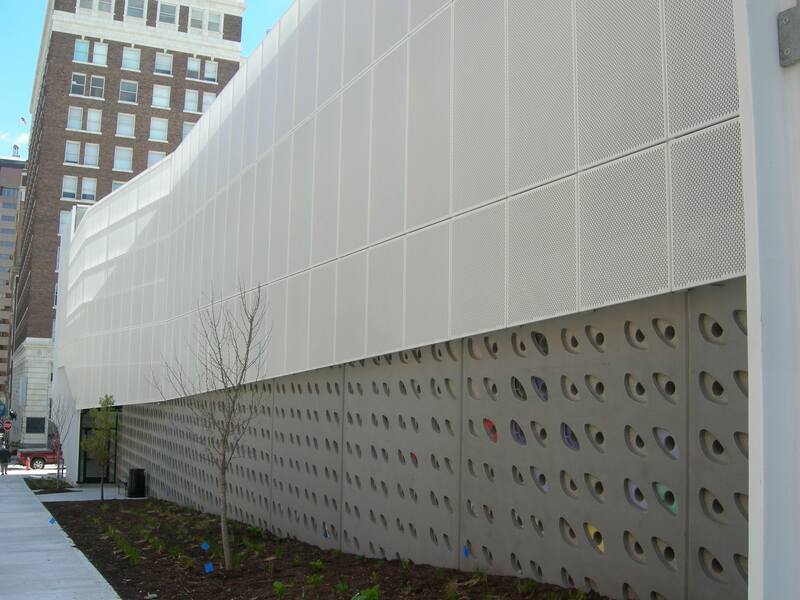 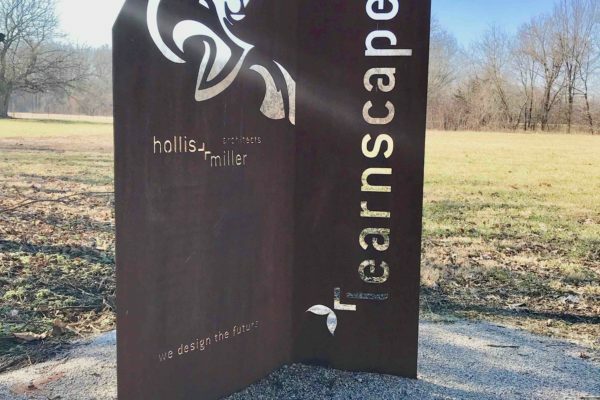 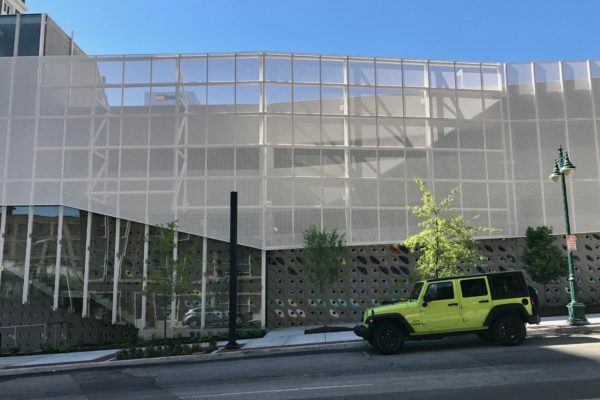 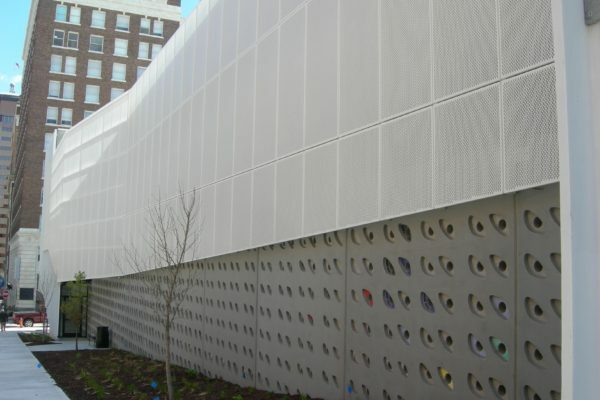 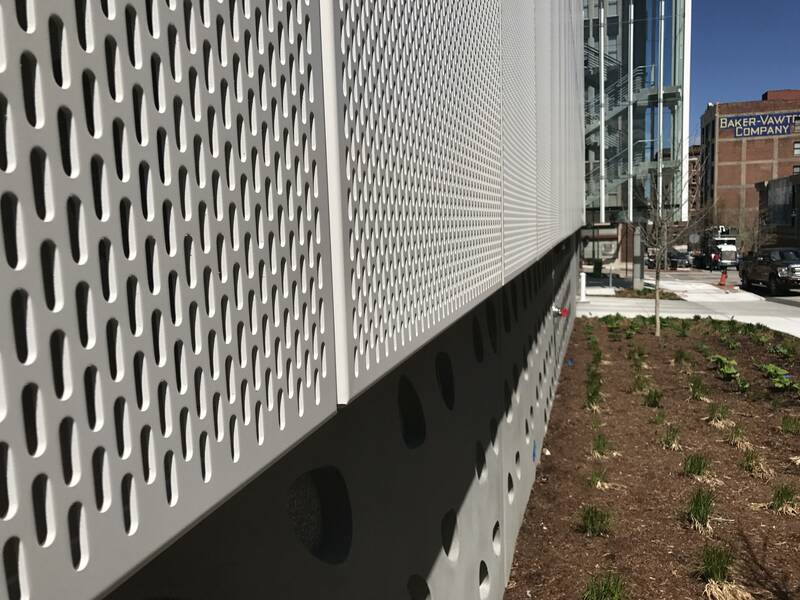 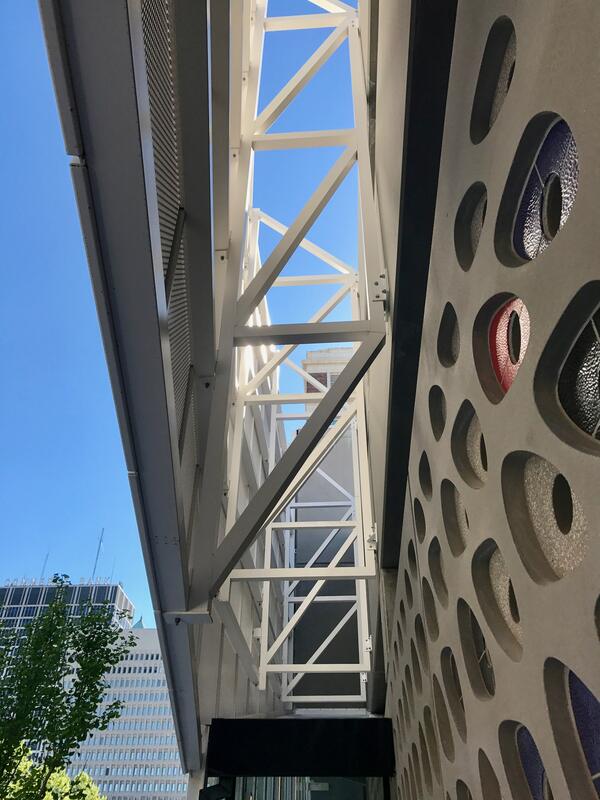 Featuring a custom, vertical oblong perforation pattern and stark white paint coating makes this aluminum plate system really pop out in the downtown’s urban core. 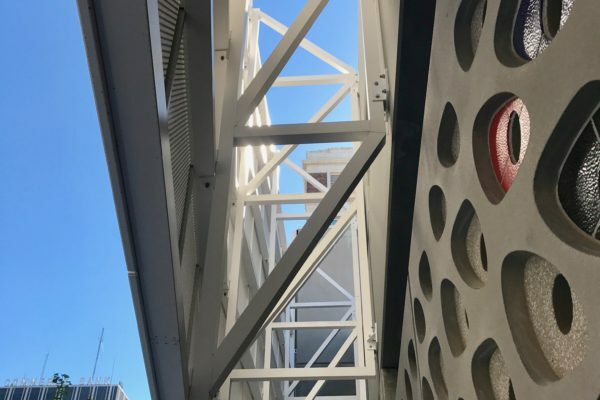 SSM’s supporting framework plays an important role too. 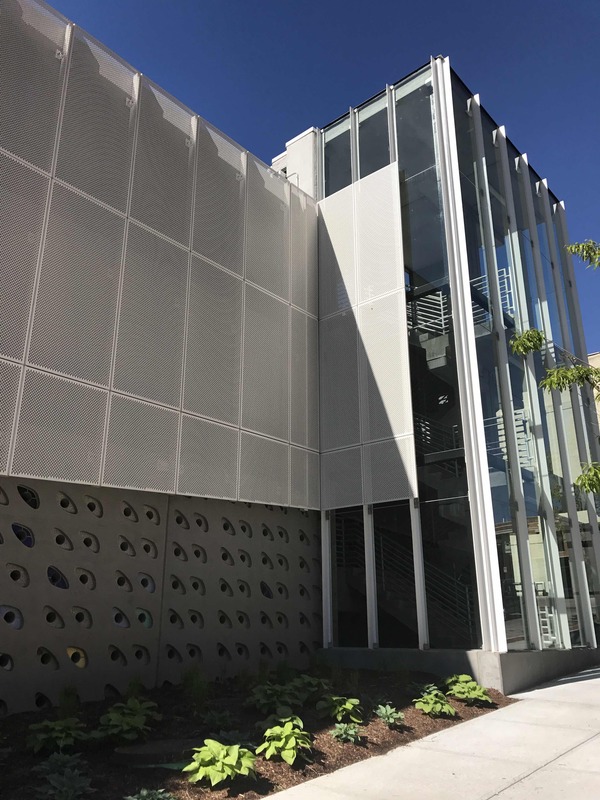 Along the north elevation, where a geometry brake creates a cantilevered projection over an exterior staircase, the aluminum panels embrace the staircase. 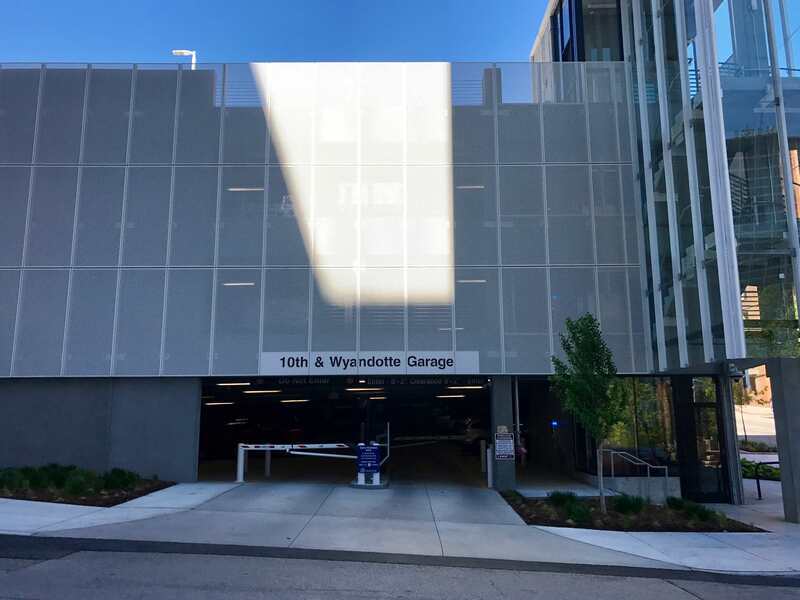 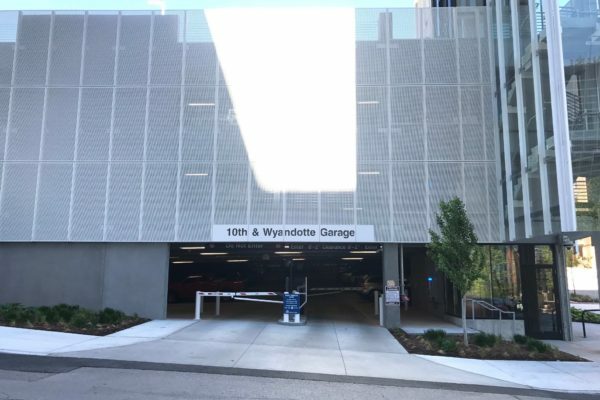 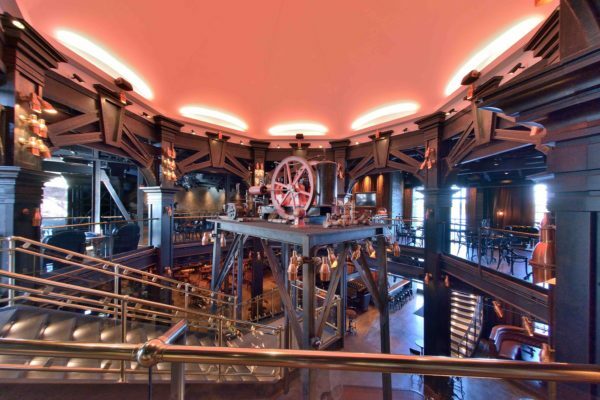 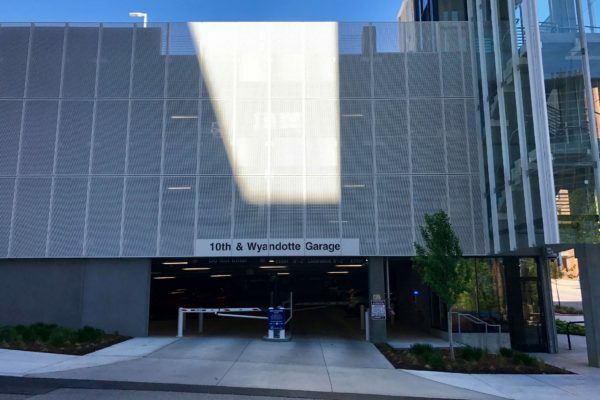 At 4 1/2 stories, the garage can accommodate 300 vehicles.